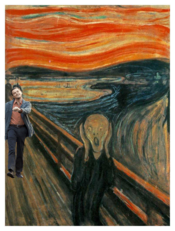 Leo Strut (also known as “Leonardo DiHapprio”) is a photoshopped exploitable that uses an image taken of Leonardo DiCaprio during the filming of Christopher Nolan’s “Inception”. 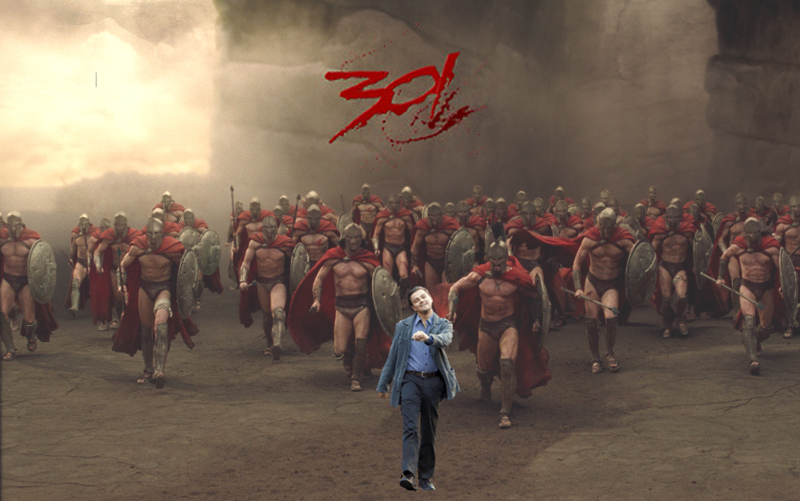 The original image is of DiCaprio doing a jolly strut down a street, but has been photo shopped into several scenes that usually depict a catastrophe or terrible happening, similar to Disaster Girl. DiCaprio is shopped into the scene, as if he could have stopped the incident or helped people nearby, but instead continues throughout the scene doing his jolly strut. Here are some of my favorite examples of Leo strutting.